Learn It Well. Keep It Always. Where we come from shapes everything we do. 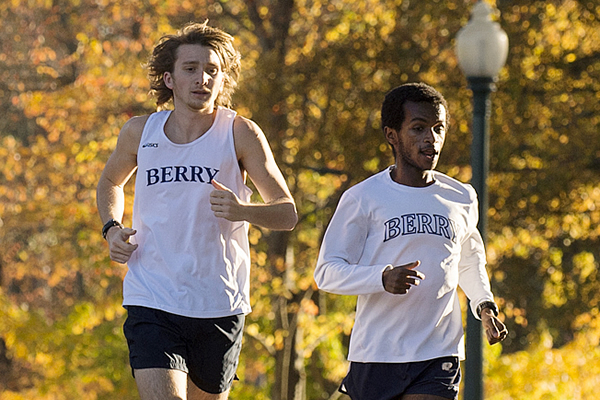 Nationally recognized for academic excellence and extraordinary value, Berry is an independent, coeducational college of approximately 2,100 students. For more than a century the College has offered a comprehensive liberal arts education that balances intellectual exploration, practical learning and character development. Founded by Martha Berry in 1902 as the Boys Industrial School with the mission of providing educational opportunity to poor children of the rural South, Berry became a four-year coeducational college in 1926. Historically nondenominational, the College embraces such Christian principles as inclusivity and service, encourages examination of faith and values, and is welcoming and respectful to those from all religious backgrounds. Berry offers exceptional undergraduate degree programs in the sciences, humanities, arts and social sciences (42 majors and 38 minors), as well as undergraduate and masters opportunities in business and teacher education. The Berry education is built on an exchange. The College offers a purposeful, four-year plan that integrates mentorship, reflection and hands-on learning. In turn, students contribute their ideas and hard work to make Berry and the larger world better. The people of Berry share freely of their experience and expertise, helping one another learn and develop as scholars and people of character. Taking on the best qualities of teachers, friends, coaches, staff supervisors and alumni, Berry students grow into mentors in their own right. Through Berry's LifeWorks program, students fill more than 1,000 jobs across all of the College's 180 departments. While gaining as many as eight semesters of paid, professional development experience, they connect classroom studies to hands-on learning, gaining invaluable skills and taking ownership of their education. At 27,000 acres, the Berry campus is a place of tremendous physical beauty, facilities that support unique work-based learning opportunities, countless options for outdoor recreation and ample opportunities for research. A gathering of people from many backgrounds and points of view, the Berry community is welcoming, respectful and deeply supportive. Students are free to express their faith, voice their opinions, explore new interests and do the things they love. The Berry degree reveals its power as graduates walk across the stage with momentum and purpose (and often with jobs in hand) and reveals its full value throughout their lives. Equipped with respected degrees, a range of widely applicable skills and well-established values, they advance in their careers and lead in their communities. Berry is located in northwest Georgia, 72 miles northwest of Atlanta and 75 miles south of Chattanooga.